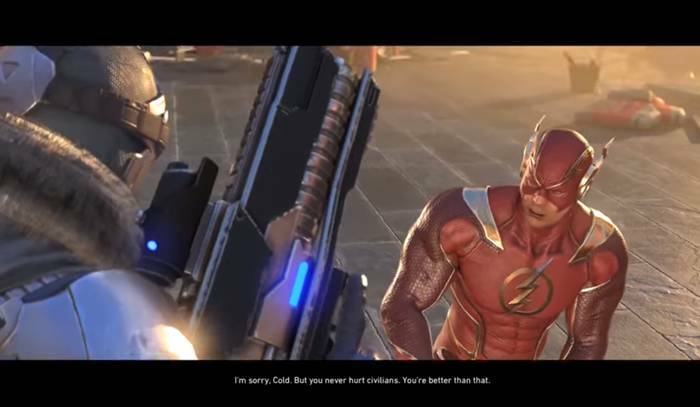 This page contains a summary of Invasion (The Flash) – Story Mode Chapter 4 for Injustice 2. Click here to go to the Story Mode Summary page! Injustice 2’s Story Mode Chapter 4 – Invasion tells of the coming of Braniac and the start of his takeover of planet Earth. Coming out of exile, The Flash races to do what he can to stop Braniac at all costs, having come to terms with his past actions of siding with Superman during the days of the Regime. Not surprisingly, he must fight his way through the chaos that has ensued.